The local farmers getting in the last crop before the snow hits the fields, as the Snowman lurks in the back ground. It is Cooling down in Nozawa! 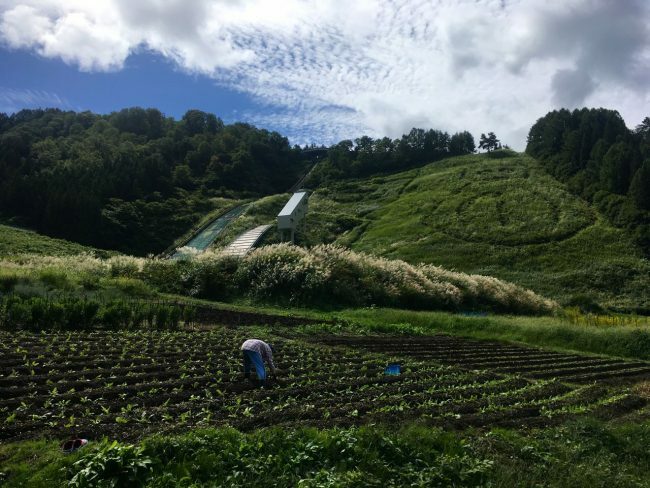 After what was one of the hottest Summers we have experienced for a while in Japan the warm spell has been broken and there is a cool change in the air. Even found myself reaching for a jumper last night, has been a while since needed one of them. 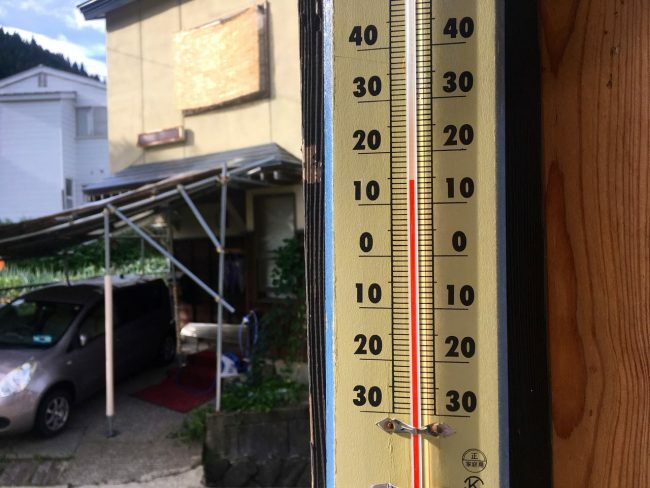 There were plenty of 30 degrees plus days over the summer in town and other parts of Japan were even hotter. Many people from Tokyo came and ventured up to Yamabiko on the Gondola where temps were about 10 degrees cooler on top. The pools, rivers and lakes were popular and the mountain streams had a peaceful cooling affect. Have not seen the Mercury this low for a while and it is lovely a cool 14 Degrees this morning at Nozawa Central. Japan loves to follow its seasons and most outdoor pools across the country close at the end of August even if it is still boiling hot as was this year. They know Mother Nature in Japan, like the trains is always on time. Sure enough we are now snuggling up under the blankets at night. My thermometer was down to the teens this morning and has been a while since have seen that. Looks like by the end of the week we could be in for single figures up top! So what does all this mean for the coming winter? Does anyone really know? Forecasting weather this far out is a hard game but I always look to the local farmers for an educated guess. Anyway it is all a bit of hearsay until closer the time, the JMA weather agency in Japan will put out their long range forecast soon so will fill you in but that is also not always 100% on the money. We very rarely have a bad season here, even the worst in 80 years we got to 235cm base! What ever the weather brings if you haven’t booked you are going to miss out and that’s no fun when all your friends are here and sending you updates on their Adventures in Nozawa. Here is a link to look and book; Book your Nozawa Onsen Holiday here! 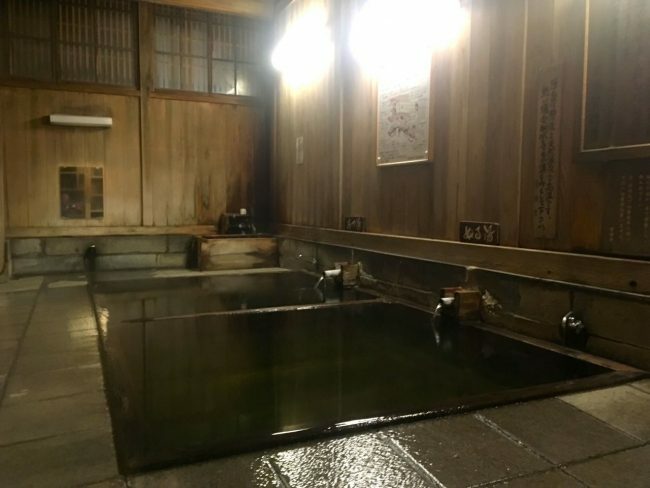 The Onsens or Hot Springs in Nozawa Onsen are magic all year round but particularly great when the air starts to cool. Also at this time of year you can often have them to yourself!